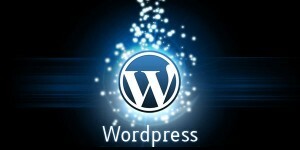 WordPress has now become the most commonly requested CMS platform that is both SEO and user friendly. We provide the full range of WordPress web design services to help you customise your company site or blog while still being able to update and add content yourself. Streamshare provides quality unique themes design specifically for your needs and we can even include various page layouts. For example, most home pages have a unique layout and may include a slide show of some form and various modules to give the user a solid idea of what the website is about. Home page design is extremely important and we will make sure it adheres to the best practices to help with search engine rankings and user engagement. Inner pages can be designed differently to meet the users needs and specific conversion strategies. Once your unique basic layout of the website is built we complete the initial setup customising the site using your company logo, colours, images and any content you provide. We will help you bring your vision to life creating the website you envision. This can also include a gallery page for all your photos and custom WordPress contact forms to help your users get in touch with you. Unlike many WordPress sites, we will not use a pre-made theme that is seen on hundreds or thousands of other sites, your website will be unique with a 100% custom made theme specific website that is only for your blog or company website. 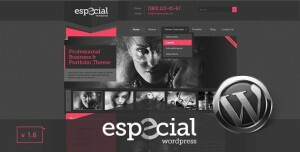 This will enhance the quality of your site and gives users confidence in your ability and the level of professionalism. We will ensure that your site is made to the highest standards, both visually and functionally. We are experts at designing websites, and we can create quality WordPress themes specific to your needs. A custom designed site can be an amazing asset to your business or personal blog. Nothing screams quality like a user friendly, engaging and modern website that keeps users coming back for more. WordPress websites are great for search engine rankings, and mean that you, the website owner, can manage your own site easily if you choose to. You will have the advantage of easily adding images to your gallery, updating your blog of specials page without needing someone to do it for you.